Shares in Medallion Financial, which trades under the ticker TAXI (TAXI), are down 20% for the year. The company lends money to taxi drivers and fleet owners trying to buy expensive taxi licenses known as medallions. Medallion Financial's main market is New York, where medallions cost more than $1 million apiece. This isn't a story about rising gas prices or more people walking and biking to work. Rather, investors are betting on the taxi industry's slow death as services such as Uber and Lyft expand. But don't write a taxi eulogy yet. Medallion Financial reported earnings Monday that were the highest in nearly a decade. At a time when everyone expects the company to take a hit, its margins are actually increasing. But Medallion has been diversifying away from the taxi business for years. Consumer and commercial loans now bring in most of the company's profits, wrote Sandler O'Neill analyst Alexander Twerdahl in a note to investors this week. 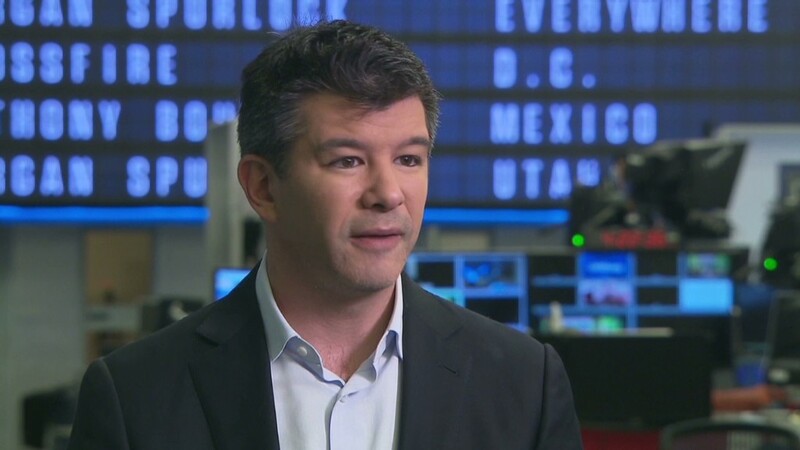 "We think that the quarterly results demonstrated the disconnect that has emerged between the short thesis on the stock (ride sharing apps will hurt the taxicab industry, and TAXI has exposure) and Medallion's actual business model and earnings power," he wrote. The medallions themselves aren't getting any less expensive. Uber launched in New York City in 2011. A fleet medallion has gone up nearly 40% since then. Lyft launched in the city last month, so time will tell its impact. 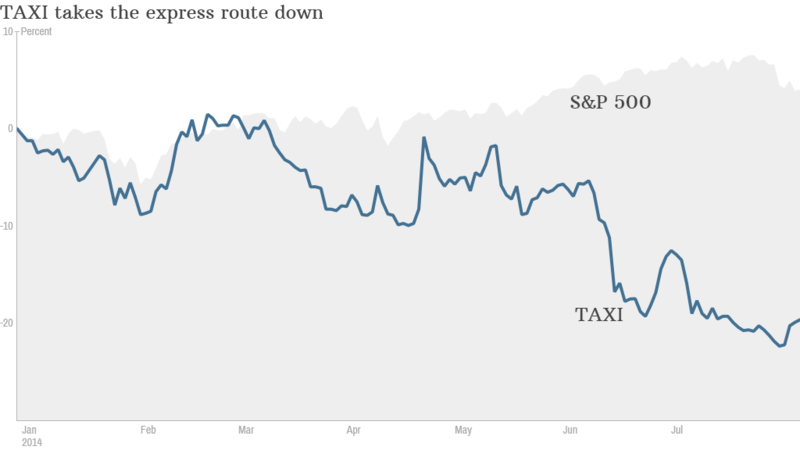 Illustrating how strongly the market believes the competition will punish taxis, the most aggressive TAXI stock selling came in the two weeks after the June 8 reports that Uber received a $1.2 billion investment and corresponding $18.2 billion valuation. Medallion's stock fell 14% over the period. The percentage of shares held short, or borrowed and sold as a bet on a price decline, doubled to nearly 9% in that time, though it has since gone down. Larry Hall, Medallion's CFO, brushed off the threat from taxi apps -- some of which allow users to arrange for licensed cabs -- in a statement accompanying this quarter's earnings report. Related: Which is the best taxi app for you? "The taxi industry continues to retain its favored position with the riding public against new market entrants such as ridesharing and car service apps through fast, safe and reliable service, insured vehicles, licensed drivers, and metered pricing that is consistent at all times of the day," he said.